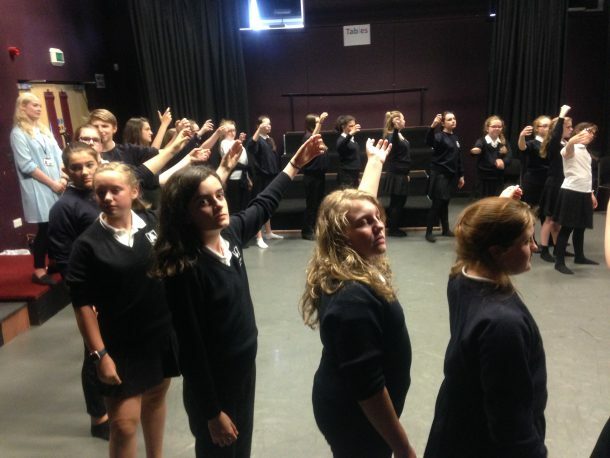 Launceston College partners with Royal Shakespeare Company, Bideford College, local primary schools and Dingles Heritage Fairground to give new life and meaning to Shakespeare’s classic tragedy, Macbeth. Over 100 students from Launceston College, Bideford College and local primary schools in our Royal Shakespeare Company cluster will be performing a one hour production of Shakespeare’s classic tragedy Macbeth on the 29th July at Dingles Heritage Fairground. Macbeth is a play of power, betrayal, the supernatural and the question of divine right. These charged themes will come to life at the eerie and magical setting of Dingles Heritage Fairground and we are all excited to see the historic rides forming a fantastic part of the performance. This project has been inspired by Launceston College’s first year as a Lead Associate School for the Royal Shakespeare Company. We are excited to be working with our local primary schools and partnership schools to collaborate on a performance of this scale. The idea to base the performance at Dingles Heritage Fairground came from Ms Mason, Head of Drama at Launceston College, who recognised the historic sites potential as a performance space. Dingles Heritage Fairground have embraced the chance to hold such a performance and have invited students to help with sound , lighting and staging to help shape the performance and make it their own. As our summer term draws to close, our links with the Royal Shakespeare Company have yet again developed and we are looking forward to this new and exciting performance coming to the stage. Tickets are available (but limited to two in the first instance) on the Launceston College website.